You might have a significant presence on social media, but it’s increasingly difficult to reach your audience for free. Fill out the form on the right to learn how to leverage Facebook, Twitter, LinkedIn, and Snapchat to drive more attendance for your event. You might have a significant presence on social media, but it’s increasingly difficult to reach your audience for free. However, with the right approach to paid social advertising, you can convert more event-goers into paying customers. This guide teaches you how to leverage Facebook, Twitter, LinkedIn, and Snapchat to drive more attendance for your event. Interested in learning how search engine marketing, display advertising, and retargeting campaigns can help you promote your event more effectively than traditional methods? 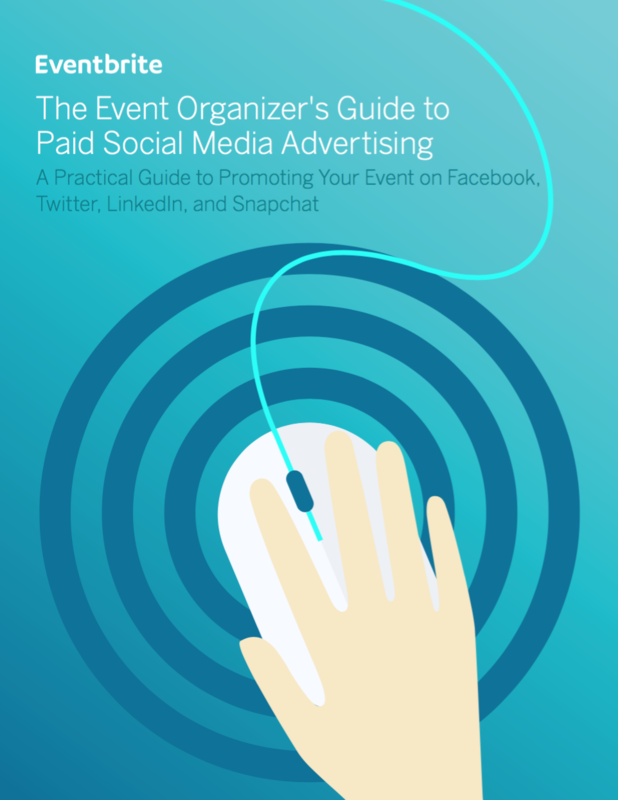 Check out The Event Organizer’s Guide to Online Marketing and Advertising. With nearly four out of five active internet users in the U.S. visiting social media, it’s easy to see why social media is arguably the most effective place to promote your event. However, over the last couple of years, major social networks have made it increasingly difficult for you to reach those users for free. How difficult? In the first half of 2016, your free, organic reach fell by 42%. Research from Ogilvy & Mather showed that a large Facebook Page with 500,000 “Like”s was limited to reaching only 2% of their audience. So while your event may have a significant presence on social media, you’ll need an increasingly savvy approach to paid advertising if you want to continue reaping the benefits of this channel—and convert thousands of potential event-goers into actual paying customers. The good news is that the cost of promotion on social media is relatively cheap. It can also yield remarkable results thanks to sophisticated targeting and reporting. In this guide, you’ll learn how to leverage Facebook, Twitter, LinkedIn, and Snapchat to drive more ticket sales — at a better return on investment (ROI) — for your event. The reigning king of social networks is over 10 years old and continues to consolidate its grip on the world of communications, media, and general consumer advertising. With over 1.7 billion active monthly users, its reach is staggering and its influence huge. If you’re running any kind of event — consumer or business — you shouldn’t ignore the promotional power of Facebook. Unfortunately, the organic (aka free) reach you get from posting updates will continue to diminish. Facebook is constantly updating its algorithms to reduce the chance of commercial messages being naturally included in people’s feeds. That means one thing: You’ve got to pay. Now that we’ve got the bad news out the way, there’s good news too. Facebook has developed a very simple, yet sophisticated, self-service advertising business. Using this platform, it’s relatively affordable to start getting your updates in front of thousands of highly targeted event-goers. To get started, all you really need is two things: a Facebook Page and a payment method, such as a credit or debit card. By default, you’ll manage your Facebook advertising under your personal account. However, if this isn’t ideal (for example, you might want your team to have access to run their own paid advertising campaigns), you can quickly and easily set up Business Manager. This tool allows you to keep your personal account separate from your Facebook page. It also allows you to invite multiple people and even assign agencies to advertise for your Pages, apps, and more. The next thing you need to decide is what you want to promote, and how. There are four basics options that will be relevant to promoting your event.